The growth in Thermal CCTV is exciting. We know this technology will only get cheaper now as more camera manufacturers bring thermal CCTV to the market place. One UK CCTV manufacturing company though are already streets ahead. 360 vision Technology have the Thermal Predator camera, a brilliant design and a camera making headlines within the industry. 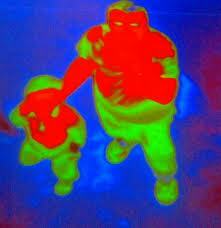 Now however we have thermal CCTV combined with a fantastic deterrent feature………. its called the white light Predator camera. By combining Thermal with white light, operators are able to track potential intruders with thermal technology before capturing video and deterring the intrusion by switching to white light. It really needs to be seen to truly appreciate the potential of this product. We can however tell you that you wont be disppointed. This is one product that once seen is never forgotten and if you specify or sell CCTV products it is must have on your portfolio. 360 vision say “Utilising the Super Bright White Light LED from the Predator Dual IR & White Light, we can now offer Thermal, White Light and Ultra low light Analogue in one, unique unit! 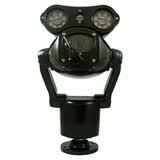 Contact us for information and how you can resell the thermal/white light Predator CCTV camera. This entry was posted on Thursday, November 17th, 2011 at 01:53	and is filed under CCTV. You can follow any responses to this entry through the RSS 2.0 feed. Both comments and pings are currently closed.